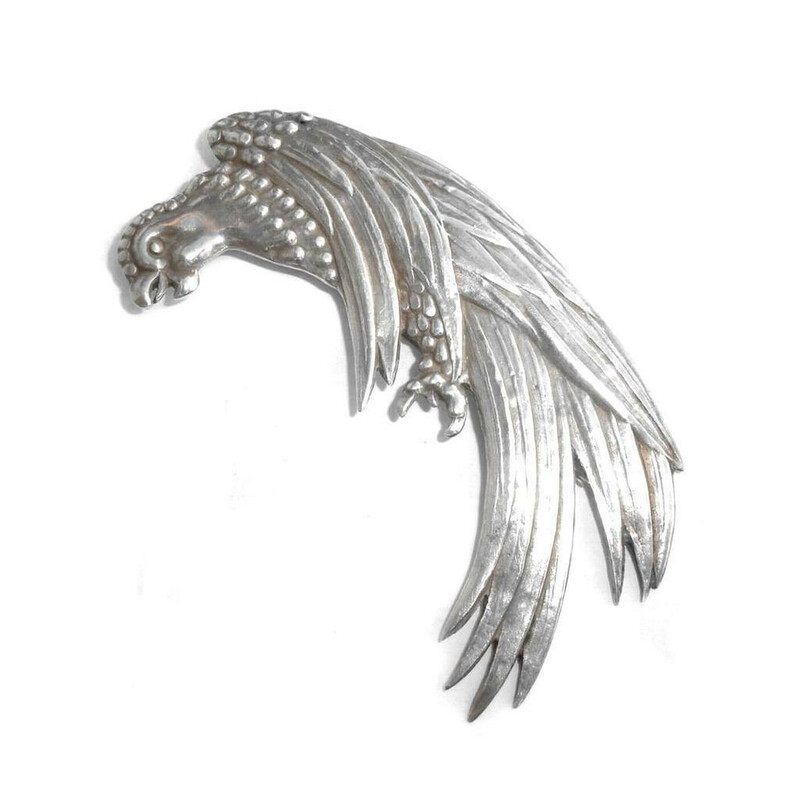 Art Deco 1930s rare and very desirable huge Los Castillo Mexican sterling silver Amazonian parrot clip pin in excellent used condition. 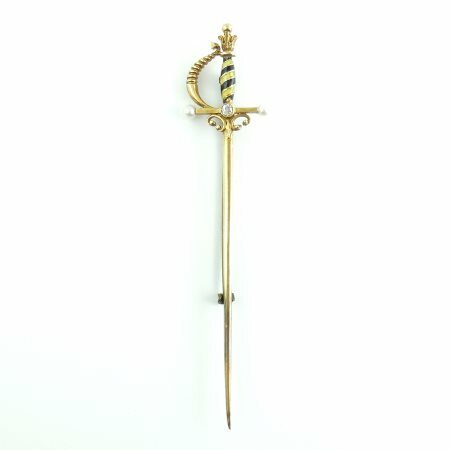 It is signed and numbered with a 1932 patent number on the clip. From an estate and clean but not freshly jeweler polished. All original find. N tears or repairs. 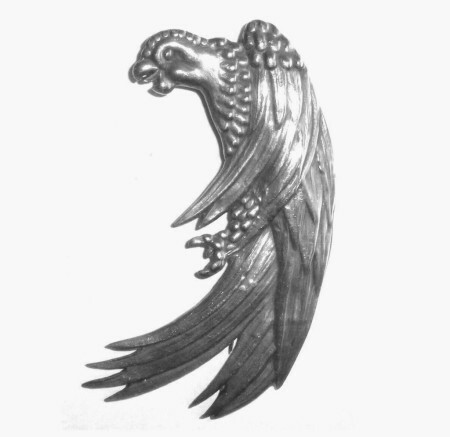 Light, normal age wear to include a very small fingernail indent on the back of the head and a couple of small lines on the feathers that look like they are part of the parrot’s detail. Clip has a 1932 patent and is still in good working condition. 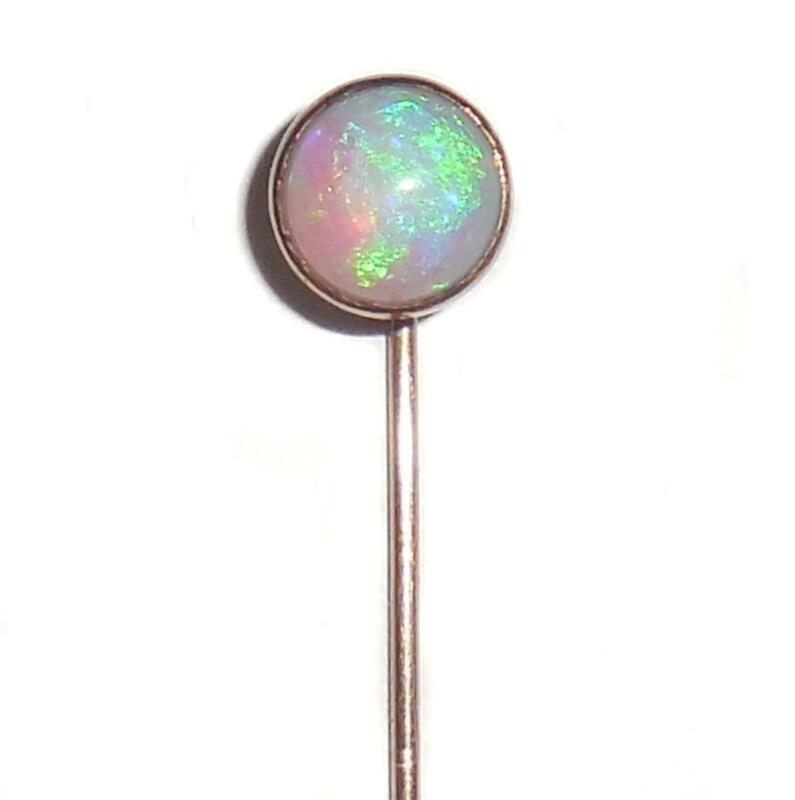 Size is 2 7/8″ tall North to South by 1 1/8″ wide East to West across the center of the body. 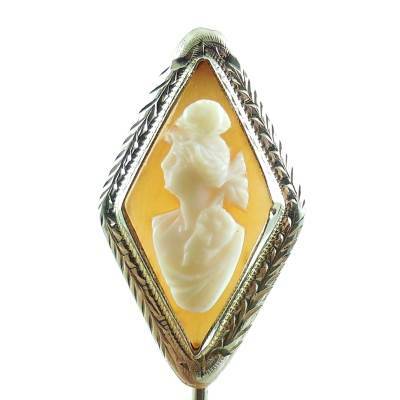 This is a wonderful harder to find item for your vintage Taxco and Mexican sterling jewelry collection. 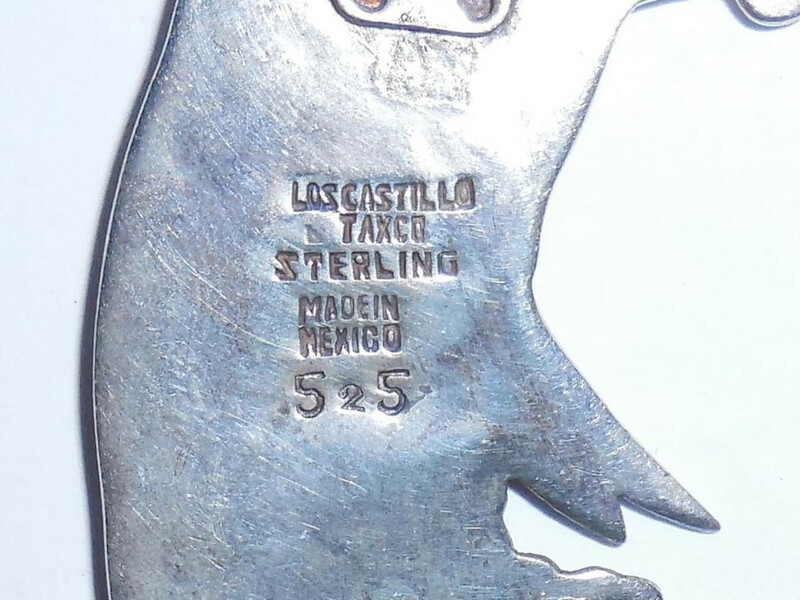 Art Deco Los Castillo Mexican Sterling Silver Parrot Pin Clip – vintage 1930s rare and very desirable huge Los Castillo Mexican sterling silver Amazonian parrot clip pin in excellent used condition. 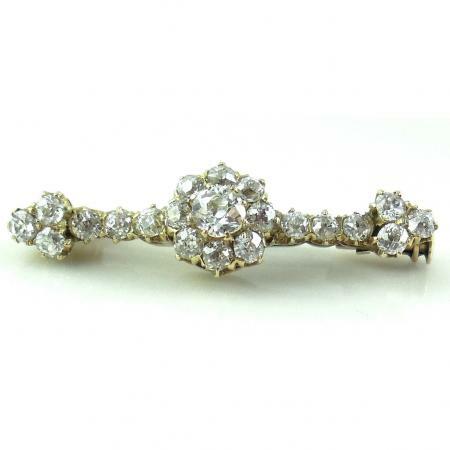 It is signed and numbered with a 1932 patent number on the clip. From an estate and clean but not freshly jeweler polished. All original find. N tears or repairs. Light, normal age wear to include a very small fingernail indent on the back of the head and a couple of small lines on the feathers that look like they are part of the parrot’s detail. 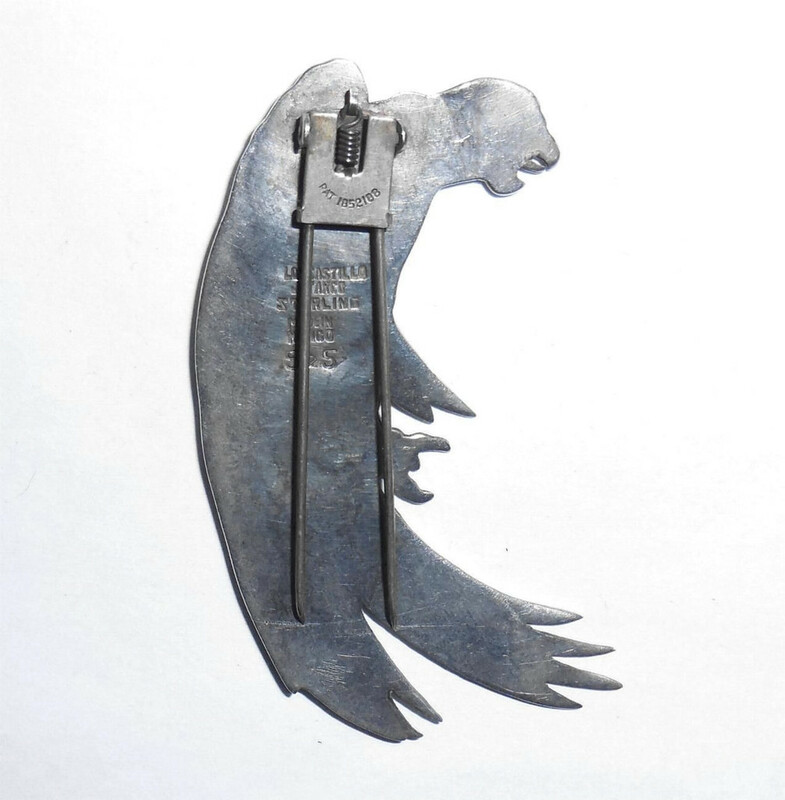 Clip has a 1932 patent and is still in good working condition. Size is 2 7/8″ tall North to South by 1 1/8″ wide East to West across the center of the body. 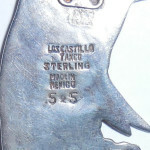 This is a wonderful harder to find item for your vintage Taxco and Mexican sterling jewelry collection.